Traversing the country in a tour van can feel like being at sea. The highway thunks beneath the wheels like waves lapping the bow, and oases of gas stations and convenience stores appear like tropical islands. Perhaps this is what has caused Scott Avett, banjo player for Concord, N.C.’s Avett Brothers, to ruminate about sailing. As his van rolls along the freeway from South Carolina to Georgia on yet another leg of the Avett Brothers’ latest tour, Scott contemplates French sailor Bernard Moitessier. Moitessier was competing in 1968’s Sunday Times Golden Globe Race—the first continuous, individual, round-the-world yacht contest—when he abandoned the lead and abruptly changed course for Polynesia. He wrote, “I am continuing non-stop toward the Pacific Islands because I am happy at sea, and perhaps also to save my soul,” placed the message in a film canister, then launched it onto the deck of a passing freighter with a slingshot. Avett (pronounced Ay-vett) has been considering success a lot these days, given that his band is now experiencing it. Over the past five years, the trio—Scott, his guitar-playing brother Seth and bassist Bob Crawford—has progressed from a small-time, niche-market alt-bluegrass outfit to a theater-filling, cross-genre band with a shot at mainstream exposure. The Avetts have toured steadily through the U.S., logging an average of seven months out of every year on the road, building a fanbase on the strength of their ebullient and passionate acoustic shows. 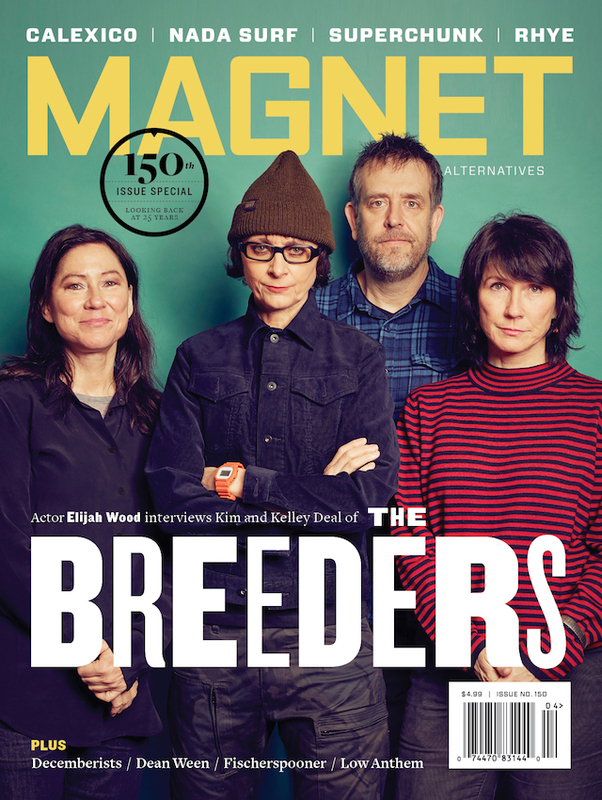 They’ve released five albums, not including a handful of EPs and live records; Emotionalism, their fifth LP, just might be the one that breaks them to listeners not already attuned to the worlds of alt-country, bluegrass and old time. Like other brother-led, roots-rock bands such as Kings Of Leon and Marah, the Avetts draw from the intimacy forged when young men grow up together. Unlike those outfits, however, the Avett Brothers expose this vulnerability in their songwriting rather than hiding it behind a wall of machismo. The Followills and the Bielankos may boast about romances, but the Avetts are the sensitive boys who actually experience them. Emotionalism is the Avetts’ version of Moitessier’s earnest slingshotted message, delivered with frightening urgency and a pressing need to be heard. The album concerns itself with the raw experiences that three humans can have as they travel the country for months on end. When Seth graduated from high school, the brothers reconvened in Greenville as a run-of-the-mill rock band called Nemo. After practice sessions, Scott, Seth and guitarist John Twomey would play bluegrass and old-time standards, a formation they dubbed Nemo Downstairs or the Back Porch Project. 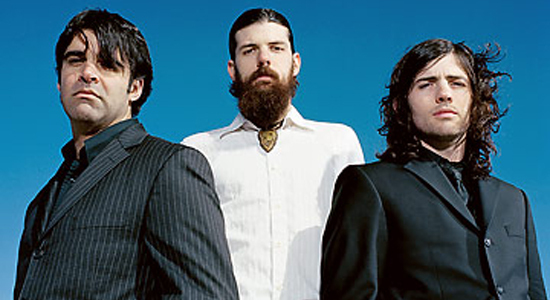 In 2000, the trio compiled a six-song demo under the Avett Brothers name. When Nemo imploded in October 2001, Twomey departed and the Avetts discarded their pedals and amps in favor of acoustic instruments. Songs came easily and abundantly to the brothers, and the albums poured out: 2002’s Country Was, 2003’s A Carolina Jubilee (both self-released and now out of print), 2004’s Mignonette and last year’s Four Thieves Gone: The Robbinsville Sessions (both on Ramseur, the label run by the band’s manager, Dolph Ramseur), as well as two live albums. Scott and Seth have a natural comfort with one another and a similar drive to create, forged by spending years under their father’s watchful eye. Someone fell in love while writing Emotionalism. You don’t need to see the album’s cover—which depicts a bird bearing a bright red heart in its talons—to divine the record’s sense of vulnerability. Both Crawford and Scott are married, so process of elimination says it must be Seth, the man lucky enough to shirk the tour van for the luxury of his girlfriend’s car. Emotionalism is also the first Avett Brothers record crafted with outside producers and a real studio. The Avetts spent 11 days at Echo Mountain Studios in Asheville, N.C., with co-producers Reynolds (Blue Rags) and Danny Kadar (My Morning Jacket, Cheap Trick), who set up the space to mirror the band’s performance arrangement in order to capture its live energy. Emotionalism feels like a vintage car driven five miles above its recommended speed limit. Every piece of equipment—banjo, guitar, standup bass, old piano, voices, kick drum, cymbals—revels in being pushed to the breaking point. Strings rattle from being plucked ferociously on the joyful “Paranoia In Bb Major”; the slight pitch shifts in Scott and Seth’s harmonies vibrate like detuned strings; and you can almost hear Seth chipping paint off his guitar’s pick guard on the darting “Pretty Girl From San Diego.” “Go To Sleep” offers a shuffling, rambling set piece performed live with fiddler Donny Herron (Bob Dylan), cellist Joe Kwon (who plays with Crawford in his side project, New Jersey Transient) and New York City anti-folkie Paleface, who also appeared on Four Thieves Gone. Of the 14 tracks on Emotionalism, four are first takes. The Avett Brothers are best experienced live. They aren’t afraid to reach back to the emotions they felt when writing a song and present them in simple form for an audience. Search for the Avett Brothers on YouTube and you’ll find more than 200 concert videos shot by fans. This energy does have its drawbacks, however. Avett shows often get rowdy as the band gets lost in its own performance. On a recent tour, Scott leapt off a Boulder, Colo., stage without considering that the audience contained only 20 people. (He claims the man who received the brunt end of his banjo to the face was “very nice about it.”) Crawford threw his bass at one show, crushing Scott’s thumb. Backstage, the band’s road manager, Dane Honeycutt, frantically tries to keep up with the string-breaking and instrument bashing. Moitessier believed that staying true to what he loved was more important than fame. Competition was destroying his passion for sailing. The Avetts are vigilant for signs that the band is burning out or the music has run its course.